Are you ready to become independent? With the freedom to come and go as you please? If the answer is YES then you need more than just a driving school. You need an experienced and knowledgeable instructor who will teach you in a supportive environment, encouraging you to become the best and safest driver you can be. teach you safe driving skills as quickly and thoroughly as possible. offer you the flexibility to fit the right number of lessons into your schedule. give you the encouragement and confidence you need to drive correctly from the start. develop driver awareness and safer driving skills. 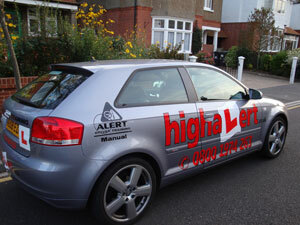 We are located in Bournemouth and offer lessons to students of all ages throughout Dorset in our comfortable Audi A3. With over 10 years experience as a driving instructor, Leroy has gained vast experience with a variety of pupils, helping them to learn to drive safely and confidently. So whether you are a novice driver or looking for refresher lessons to improve your road safely, Leroy can provide high-quality teaching tailored to the individual. Previously, Leroy worked in the fast food industry for 16 years in managerial positions. He worked to develop the skills of others in a calm and positive manner through clear and constructive communication. These skills have helped him to become a driving instructor with a reputation for understanding his pupils’ needs and providing the corresponding support, encouragement, and tuition. Learning to drive can be a daunting task, but Leroy’s calm and approachable nature will immediately put you at ease. Combined with his in-depth knowledge and well-designed lesson plans will give you the confidence to pass your test as a safe driver with skills for life.